﻿ Looking for a franchise for sale? What are the risks? Feb 11, 2016 | Market Research, Strategy | Comments Off on Looking for a franchise for sale? What are the risks? Buying a franchised business is often seen by franchisees as a definite path to making large sums of money. This may be true for some, however, there are a number of inherent risks in buying a franchised business for potential franchisees which must not be ignored. These risks must be assessed, weighed up and considered in the overall decision of investing into a business. Franchisees often have extremely high expectations of the business they are buying, including its earning and growth potential. Some of these expectations may have been set as a result of information provided by the franchisor but in many cases it is a general perception of what the business in question should make as opposed to the reality and factual figures. It should be remembered that even the most recognised brands will yield different financial results in different areas. The financial success of a franchised business will depend on its location, visibility, amount of rent and outgoings payable, higher competition in a particular area and the ability of the franchisee to operate and grow their business. One of the major benefits of franchising is being able to rely on the franchisor for support and guidance. However, this may be lacking in some franchise systems. Every franchisor and their offering is different. Lots of consideration must be given to finding out how much support a particular franchisor offers, what is included and how willing the franchisor is to assist. The best source of information in relation to the franchisor’s support is its current and past franchisees. Ask about training programs offered by the franchisor, both initial and on-going. Inquire about telephone support and the time it takes to obtain information or order product from an alternative source or sort out any issues arising in your business. One of the biggest mistakes in business, franchised or otherwise, is overcommitting financially. You must make sure that you have enough working capital and that you budget for 10 percentover the total anticipated cost, as budgets often blow out. Preparing forecasts and assessing all the financial information presented to you by the franchisor or the franchisee you are purchasing the business from are essential. Assistance of an accountant is highly recommended to ensure that all financial considerations have been covered. Franchising involves operating under the franchisor’s name and using their systems. This requires following the rules and procedures put in place by the franchisor. It also means that there is not much room to be entrepreneurial. If your personality does not deal well with taking directions from third parties, then franchising may not be for you. 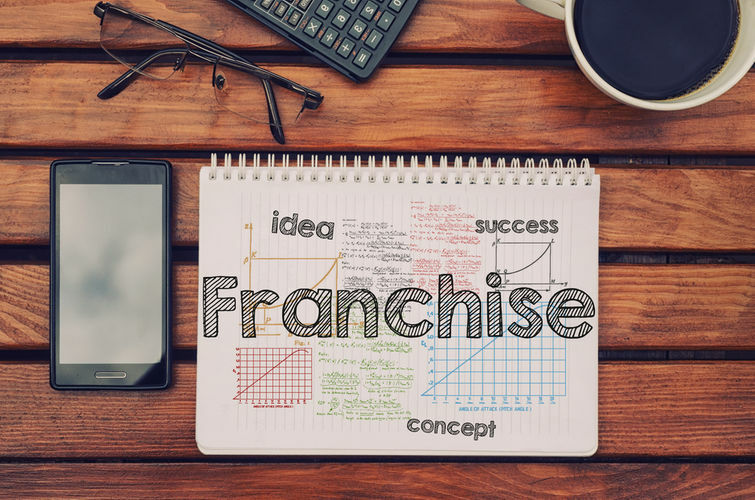 More and more often franchisees sign the franchise documentation on the dotted line without fully understanding what they are getting into, all of their obligations and procedural requirements of the franchisor. This, in turn, leads to breaches of the franchise agreements and possible termination, resulting in the loss of the business and a loss of a large financial investment. Obtaining legal advice prior to entering into a franchise relationship is imperative to your future success. If you are considering entering into a franchise relationship within a new brand that has not been on the market long, there are additional risks of its long term viability. You need to do a much more thorough research in relation to the people behind the franchisor, its directors and investors, to ascertain their business background, experience in the same or similar industry, and likelihood of being able to grow this new brand into a successful franchise. The reputation and success of your franchised business is directly dependent on that of the franchisor. Any difficulties that the franchisor encounters, will have a direct impact on your business. Further, if the franchisor becomes bankrupt or insolvent, you may not have any business that you can operate, as you will no longer have the right to operate under their brand and in many cases the landlord will have the ability to terminate your lease agreement. Franchisees are usually required to pay a number of on-going payments to the franchisor, including royalty and marketing fees. These fees can be fixed or stated as a percentage and are payable at fixed intervals, which are usually on a monthly basis. Even though when the fees charged are a percentage of the franchisee’s sales, when the business is not doing well, fees are still payable (albeit smaller amounts). The conduct of the franchisor or other franchisees within the same system may give the brand a bad reputation and will be completely out of your control. If you want to sell your franchised business in the future, you will need to adhere to the procedure stated in your franchise agreement, which will include the potential purchaser being approved by the franchisor. If your franchised business is product based, you will be required to purchase all products either from the franchisor or from an approved supplier. Such products may be marked up to a higher price than you could find elsewhere, but you will be restricted as to where you can purchase products. Most franchise agreements will impose a restraint of trade, restricting franchisees from operating a similar business within a certain radius from the premises or the territory of the franchisee for the duration of the agreement, and for a period post termination (or expiration). You must understand the restrictions imposed upon you within the franchise agreement to ensure that you are not restricting yourself from job or business opportunities in the future. Buying a franchise should not be a quick decision or a decision made lightly. Do your due diligence and assess all the risks. Please remember that professional advice is invaluable in ensuring that all potential risks are addressed.